Fresh Jodi of Bollywood, Alia and Ranveer were roped as brand ambassadors of Make My Trip. They have never disappointment us with their charm. The online leading travel agency started in the year 2000 and is headquartered in Gurgaon now widely known as Gurugram. “Dil toh Roaming hai” punchline endorses the title more. The most trusted and reliable brand always comes up with new ideas of cashback, deals, refund to grab attention of customers. As soon as you book flight to a particular destination, it will show you great deals for hotel booking with up to 40% discount. They have also collaborated with various banks so that when you do the payment by your credit card you receive a cash back up to INR 1500. For Friday’s you get discount on HDFC card, same is applicable for different cards on different days. They have also collaborated with Mobkwik to help customers with major options and to provide ease at transactions. MMTSPECIAL FLYMORE are the deals flashing as hot deals. As the summer vacation is all gearing up, make the most of it by grabbing deals and availing offers. It also features weekend getaways exclusive dine and wine, exotic location packages, rail card, outstation cabs and many more. 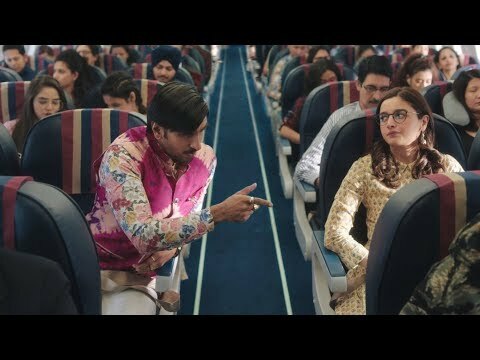 The latest ad portrayed by Alia and Ranveer features best price guarantee. If the guaranteed price is not the best, the customer will get the refund of the difference amount. I just love their jodi and the way everytime they come up with new marketing strategy. Marketing strategy is what builds trust among people. Rajesh Magow, co-founder and CEO India, MakeMyTrip, says, “With this campaign, we seek to bring new customers into the online hotel category.” They wanted to change the scenario of booking flights and hotels to online booking rather than offline. The ads which they launch every time resonates with the audience. The brand has also refreshed its logo to convey a more mobile ‘appy’ feel. They are constantly evaluating in terms of discounts and transactions. As the competition is at the peak these days, each and every competitor try to be the best. I think by now I have booked so many flights by MMT. The first site which I click to book a flight and hotel is Make my trip. The cashback gets credited to your wallet which you can avail during checkout. Make my trip simply relies on 4Ps for their marketing strategy which is - Price Product, Promotion and Place. They are constantly earning a growth rate of 40% and are continuing to be the leader in this area. More than symbolising their product they are working towards building brand and that is the reason they enrolled fresh face Alia and Ranveer to build trust among customers.